Created, developed and produced in Italy, B-bikun is made of non toxicnatural gel, with a completely ascetic, hypoallergenic and antibacterial coating. Cool the gel pad for at least 60 minutes in the freezer before the application to the groin area to obtain relief and the benefits of a detox bath. Several daily applications can be made while resting or relaxing. Secondo il sistema di Louis Khune, B-Bikun consente di ottenere i benefici ed il sollievo dei bagni derivativi. Una tecnica naturale attraverso il raffreddamento della zona perineale contribuisce ad alleviare dolori e fastidi collegati sia all’ambito pelvico che all’intero organismo. Un utilizzo costante favorisce la riattivazione dei tessuti connettivi, migliora la circolazione, riattiva il sistema linfatico ed immunologico generando nel nostro corpo una rinnovata energia vitale. Anatomical pad B-bikun unlike Bikun, is bigger and contains 80% more natural gel which allows a wider area to be treated as well as a longer cooling down period up to 40 minutes. 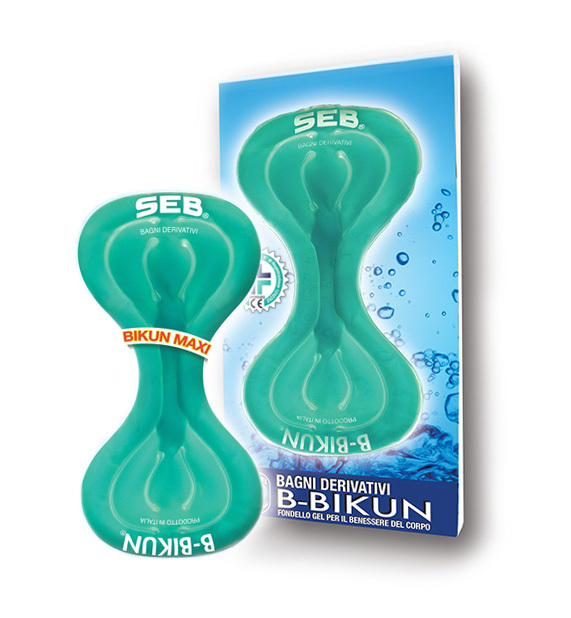 B-Bikun does not have any contraindication, it can be applied while resting or relaxing or as a restoring therapy following athletic activities. It is suitable for men and women. Cool the gel pad for at least 60 minutes in the freezer before application to the groin and genital areas. Do not apply directly on the skin. Put the pad inside its microfiber cover first, to obtain relief and the benefits of a detox bath. Several daily applications can be made while resting or relaxing. Non toxic gel: distilled water, cellulose, food coloring and additives. In case of accidental contact with skin, rinse with water without rubbing. External coating: completely ascetic and hypoallergenic anatomical pad, with high mechanical resistance to continual rubbing, high frequency welded and stuffed with approximately 180 grams of viscous gel. Suitable for men and women, Bikun pad has to be applied according to the indications described above and should not be applied for a different purpose from the one that has been indicated. 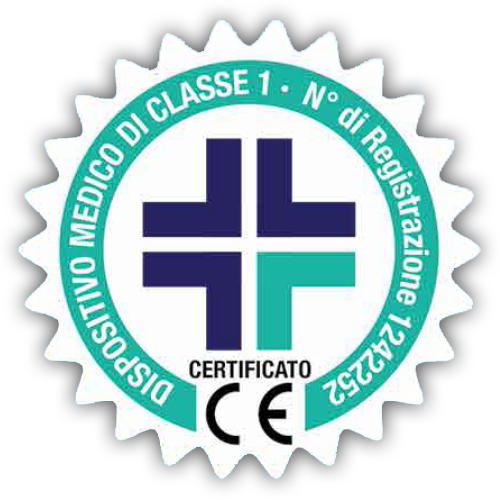 The product is certified by Italian Health Ministry as a medical device, type 1 – registration number 1242252.